Thomas Jefferson hated stairs. Not personally. Architecturally. A design nut who conceptualized Monticello and parts of the Virginia State Capitol, Jefferson disdained the space stairs took up. According to the Monticello Foundation, he favored narrow, steep stairs with tight turns so the hulking masses wouldn’t rob him of space for more exciting design features. Fortunately, designers can employ a variety of strategies to maximize the positioning of stairs in a home. David Marshall of Albion Cabinets & Stairs favors a winding staircase—not least because that’s his specialty. 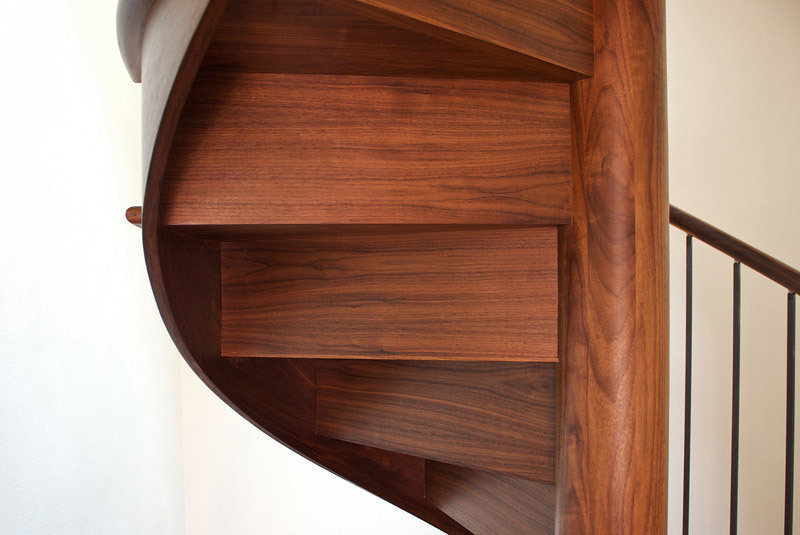 Although challenging to engineer, such stairs are not only a space saver but can be a striking centerpiece. “You have options: how much it rotates, whether they go clockwise or counterclockwise, and where you get on the stairs at the bottom determines where you get off at the top,” he says.